When something is repeated or set out in a special order, it creates a PATTERN. I especially liked pages 4-5; these pages had 8 different strings with beads on and the reader was asked, "What's Next?" These pages were a wonderful exercise for further discussion. The last two pages give you ideas for creating your own pattern. Of the 3 books, this one was my least favorite. It was too wordy (for my taste) and seemed to expect the reader to just be able to soak the information up with limited interaction. 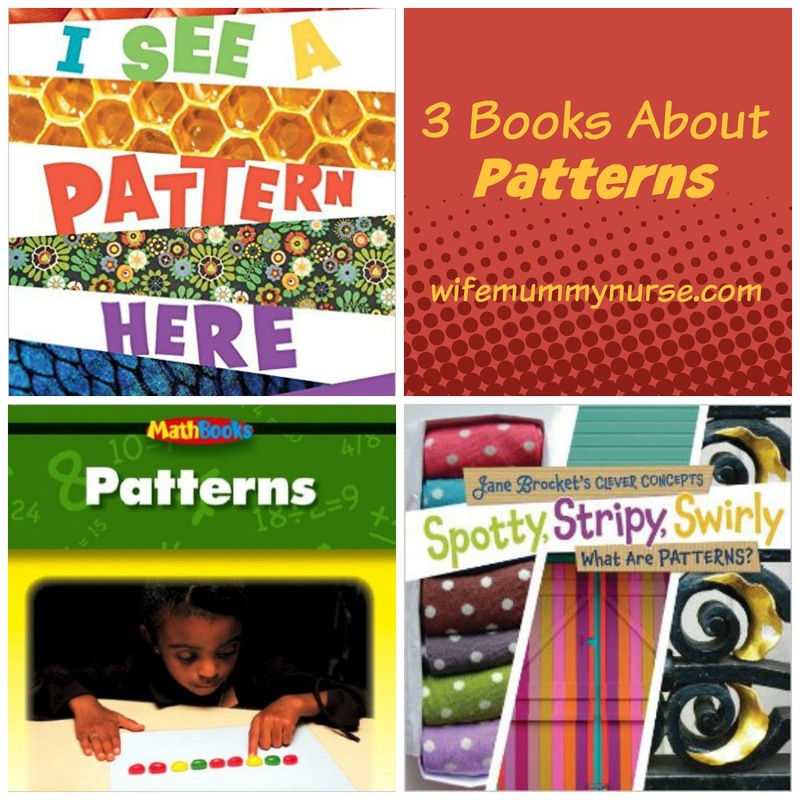 What tools have your used to help your students or children understand patterns? I love, love, love that you took a break when you both needed it and then found some books that helped! Awesome, and totally the way educating should be done! Well done!